Dr. Dan Tirza was appointed by Israeli Prime Minister Benjamin Netanyahu to be the Chief Architect of the Israeli "Security Barrier" (more accurately known by honest observers as the "Separation/Apartheid Wall"). Christians United For Israel (CUFI), the Neo-Christian/Christian Zionist organization, has been showcasing Dr. Tirza at their "Standing With Israel" events that are held in churches around the country. Tom Compton of We Hold These Truths talks about the effectiveness of his one man vigil to challenge The Oasis Church's CUFI event in Tucson, AZ. It wasn't planned to be a one man vigil, but that's how "organizing" goes sometimes. 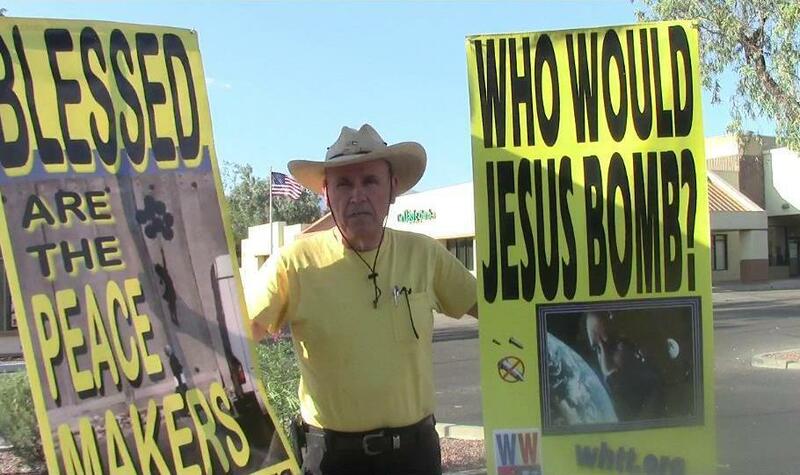 Tom is joined by fellow one man vigiler veterans, Craig Hanson and Chuck Carlson to talk about our vigils of conscience. The New York Times article exposing the myth that Israel built a "Security Barrier" is "Smugglers in West Bank Open Door to Jobs in Israel, and Violence" and the revealing, Mondoweiss story that fills in the holes the NY Times left out is "Front-page article in ‘NYT’ exposes the lie that wall is a security barrier." Also, mentioned in the 23 minute podcast, is "These Brothers of Mine" by Rob Dalrymple. In this 27 minute program, first time, We Hold These Truths vigil leader, David Canaday, talks about his successful, one man vigil held at "A Night For Israel" event in Montrose, CO that was sponsored by Victoria Hearst (one of the heirs of the Hearst publishing dynasty) of Praise Him Ministries in Ridgeway, CO. This was a Christian Zionist event that was not sponsored by Christians United For Israel (CUFI). However, one of CUFI's staff, Dr. Billye Brim, was one of the speakers. Find out how David Canaday, only armed with two powerful handouts "Do Followers of Christ Have An Obligation To Israel: What Does the Bible Say?" and "Facts For Those Attending PHM's 'A Night For Israel,'" could strike fear in the hearts of the organizers of this event. 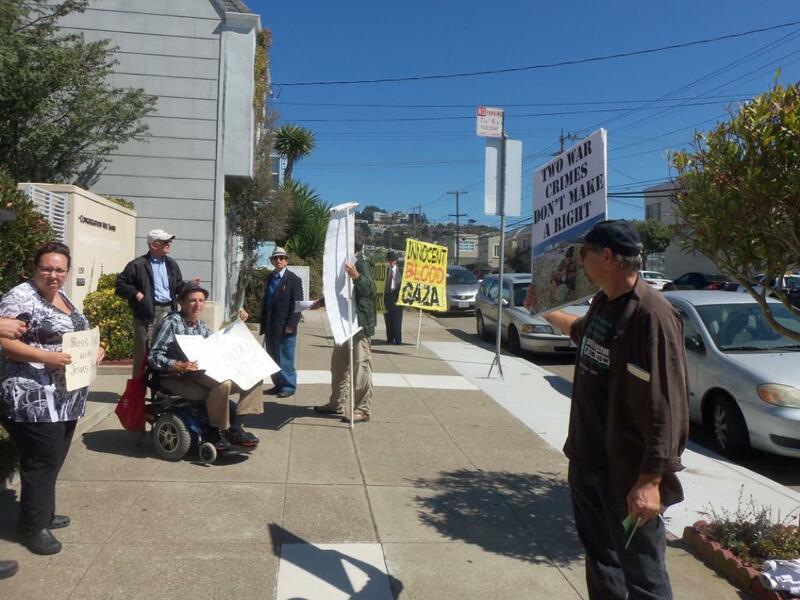 We Hold These Truths held our first vigil at a synagogue (Congregation Ner Tamid in San Francisco) that hosted a John Hagee's Christians United For Israel event. We were joined by two activists from Jewish Voice for Peace (JVP), Paul Larudee of the Free Palestine Movement, Jesuit priest, Father Steve and 8 WHTT supporters. In this program, Jim Haber of JVP and Paul Larudee provide interesting insights into the Israel/Palestine conflict from their perspectives. 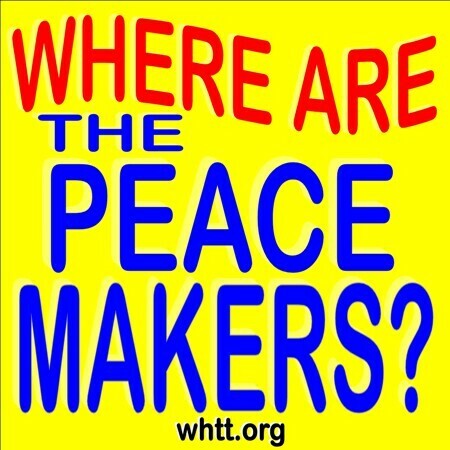 Veteran WHTT vigilers, Craig Hanson, Patty Ford and Chuck Carlson discuss the vigil and the gradual awakening to the dangers of Christian Zionism by more Americans. Here's the link to the letter sent to the rabbi that was used as a handout. This is a "must listen" podcast that you can use to inform others! We were inspired by one of our listeners who wanted to attend a vigil at a Christians United For Israel event near his home. In this program we talk about what is needed to do a vigil at a Christian Zionist church. One of the main things to be done is to send a letter to the pastor of the church to let him know why we have chosen his church. After listening to this program, be sure to get the rest of the story as told after the vigil in "What Went On Inside a John Hagee CUFI Event in California."